John Balistreri is a Professor of Art at Bowling Green State University, where he has been the head of the Ceramic program since 1996. He received his BFA from the Kansas City Art Institute in 1986, his MFA from Kent State University in 1988, and received the Emerging Talent Award at the 1995 National Council on Education for Ceramic Arts (NCECA) Conference. Balistreri also serves on the Board of Directors of the Archie Bray Foundation. His articles have been published in Ceramics: Art and Perception, Ceramics Monthly, and American Craft and his work has appeared in many books on ceramic art. He has conducted over fifty workshops and lectures throughout the United States and China, has had nine solo exhibitions of large-scale ceramic work, and has participated in many national and international group exhibitions. Balistreri’s work is also included in numerous corporate, private and museum collections, including the Fredrick R. Weisman Art Museum (Minneapolis, MN), The American Museum of Ceramic Art (Pomona, CA), The Canton Museum of Art (Canton, OH), The Daum Museum (Sedalia, MO), The American Ceramic Society (Columbus, OH), The Shiwan Treasure Pottery Museum (China) and the Foshan Ancient Kiln Museum (China). 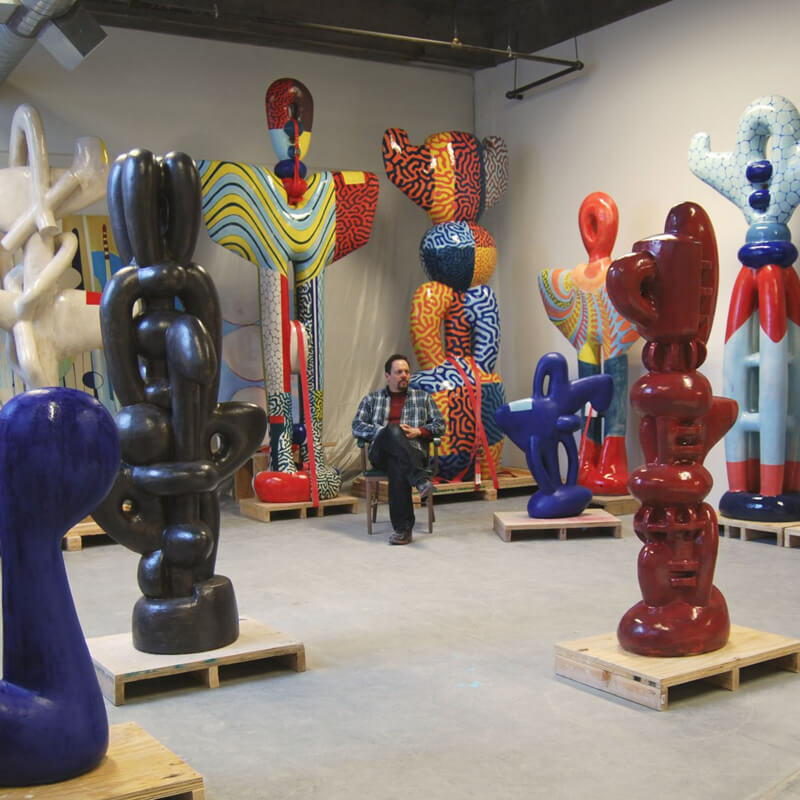 Balistreri is best known for his large-scale ceramic sculpture as well as his innovations using digital technology to create ceramic objects using ceramic 3D printing techniques. He has been awarded two patents related to this research.